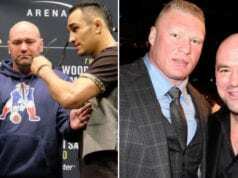 UFC officials confirmed to the Orlando Sentinel that Sarah Kaufman meets Germaine de Randamie at UFC on FOX 17 in a key women’s bantamweight bout. Following her loss to Ronda Rousey in Strikeforce back in 2012, Sarah Kaufman has been on a roller coaster ride in regards of her MMA career. 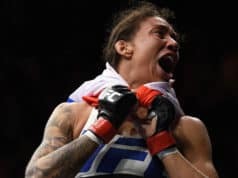 She’s 2-1-1 in her last four bouts as she beat Leslie Smith by split decision, her fight with Jessica Eye at UFC 166 was ruled a no contest and she won her fight with Leslie Smith in April of 2014. In her last fight, she lost to Alexis Davis at UFC 186 by second-round armbar. Germaine de Randamie is 3-1 in her last four bouts and is coming off a second-round submission win over Larissa Pacheco at UFC 186. 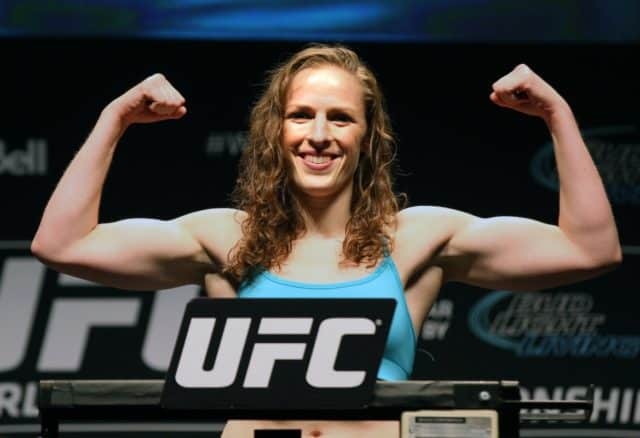 Sarah Kaufman meets Germaine de Randamie for the first time ever at this event. The event takes place from the Amway Center in Orlando on Dec. 19 and will mark the final event of the year for the promotion. 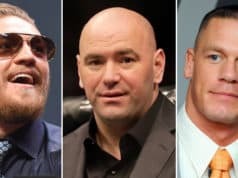 The event will air on FOX, FOX Sports 1 and UFC Fight Pass.